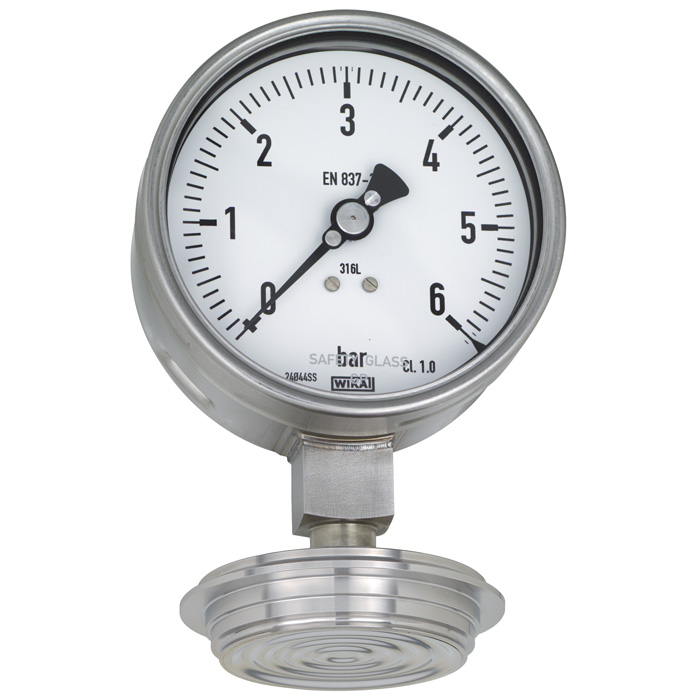 The model 990.24 diaphragm seal with VARIVENT® connection is particularly suited for use in sterile processes and is adapted to the process via the VARINLINE® access unit. 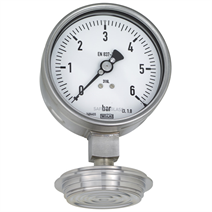 This enables a hygienic integration of measuring instruments into pipelines or, by means of VARINLINE® housing connection flanges, into tanks. Measuring systems with the model 990.24 WIKA diaphragm seal are successfully used in production and filling processes in the food, pharmaceutical and cosmetics industries.